The Quoted Companies Alliance (QCA) and the Non-Executive Directors’ Association (NEDA) released a joint paper in November 2018. It made for interesting reading from a number of perspectives. As a Professional Services firm with around 40-years’ Board-level Executive Search experience, and having worked with exceptional executive and non-executive leaders, we are always interested in whether boards understand the importance of good governance around NED recruitment, the many tensions to consider when making changes, and the risks they must mitigate when choosing a new board member. The paper highlights a change in NED recruitment practices over recent years. According to QCA/NEDA research, there has been an increase in the use of specialist recruiters and Executive Search firms. This is a shift away from the traditional method of hiring individuals known to the company, its chair, or a fellow board member. So why is this? There are only a finite number of ‘available’, capable, not ‘over-boarded’, relevant people with PLC experience. Those candidates who meet the above criteria then have to be interested in the opportunity. The owners of small-to-mid-sized quoted companies don’t always know who these people are as they are busy running their own businesses! Diversity of thought is becoming increasingly important. If an owner and/or fellow board members tap into their own limited networks, they will invariably recruit to type. As boards increasingly need to challenge each other and management, ‘group-think’ is not the best way forward. The increasing checks/balances, legislation, and the desire on the part of the shareholders for boards to be truly independent. The need to ‘benchmark’ and evidence to shareholders that a thorough search of all available talent has been undertaken, and that the best, most relevant, available candidate has been selected following a rigorous, well-governed process. The recognition – by both the company and NED – of the importance of having a specialist Search Consultant acting as a ‘high-touch’ intermediary. The factors above are increasingly forcing owners/senior management to use respected, well-networked, and established specialist search firms who can evidence a strong process and good governance. The change in recruitment process should attract a wider, more diverse range of experienced NED talent. With the addition of new NED talent, however, there is often a mismatch between what the owners/senior management expect from their board and vice-versa. This mismatch can often occur in small-to-mid-size public companies where the founder or founding family may be new to the world of executive leadership and, entrepreneurial by nature, will be used to controlling every aspect of the business. Whilst this ability is often their strong suit, it can interfere with the search as they may project their expectations onto the recruitment process. The NED, on the other hand, because of changes in legislation, good governance, the need for independence, and shareholder demands, often has a very different set of expectations. Whilst a specialist board search consultant can’t solve all the tensions that inevitably come from these changing expectations, they can occupy a third, more neutral space. An experienced executive search firm will carefully balance the NED perspective with that of an ambitious, under-pressure, business leader. 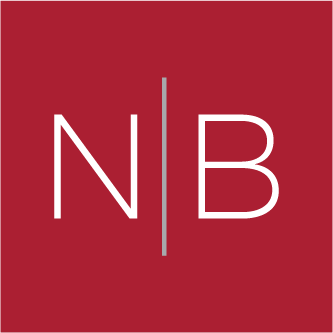 Norman Broadbent’s Board Practice has a 40-year heritage. We know how the boardroom works, the legislative changes affecting quoted companies, the need for stronger governance, growing shareholder expectations, a greater understanding of directors’ responsibilities, and an awareness of reputational risk. This acute understanding drives us to help find bespoke solutions that work for both NEDs and senior leadership teams. If you would like to learn more about our Board Practice or have a discussion about a particular assignment, please do not hesitate to contact Tim Hammett, Managing Partner, for an initial confidential discussion.